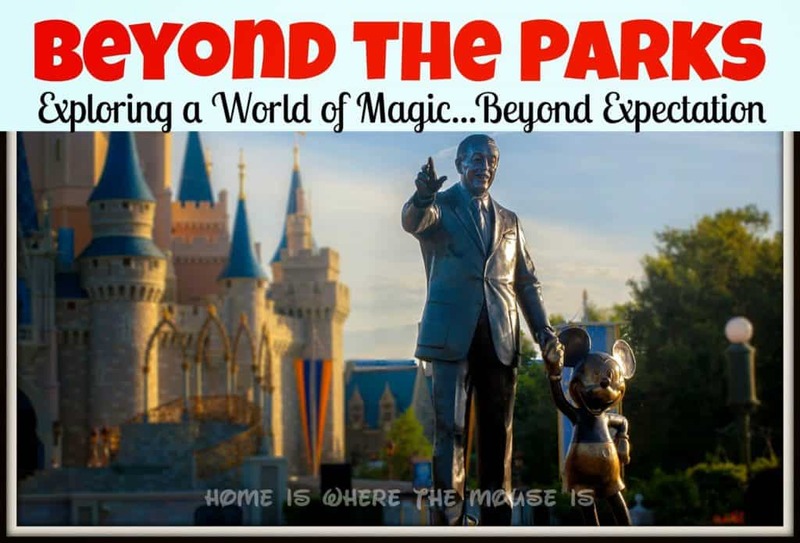 Today we’re kicking off our brand new series, “Beyond the Parks”. We’ll be taking a closer look at all there is to do, see and eat beyond traditional thinking. In first part of our series, we’ll be exploring things that you can do without ever setting foot inside a park. 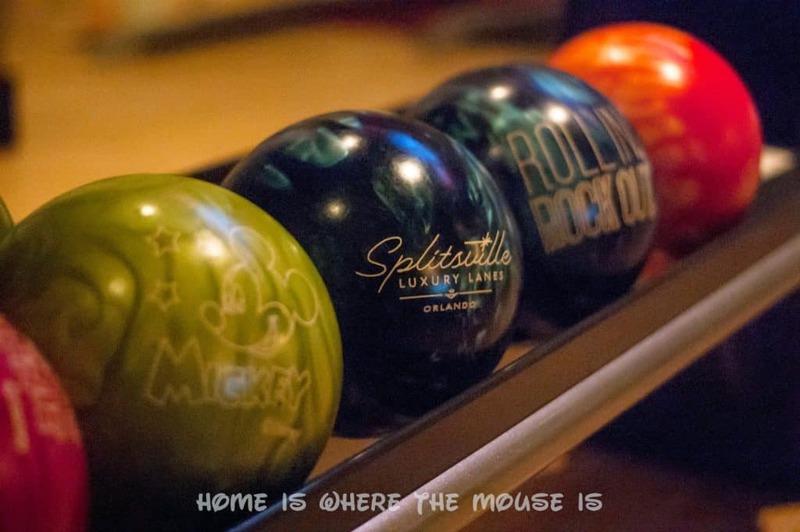 One of the newest additions to Downtown Disney West Side is Splitsville Luxury Lanes. 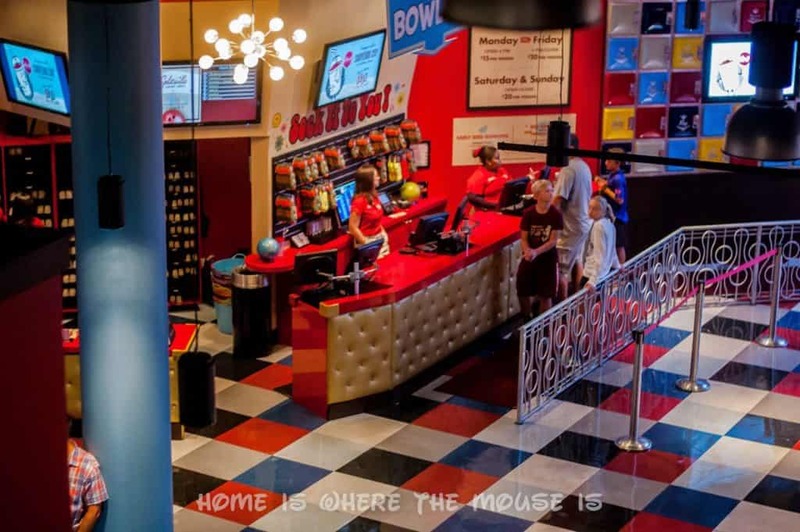 Families can enjoy 2 floors of bowling fun while munching on first class food. 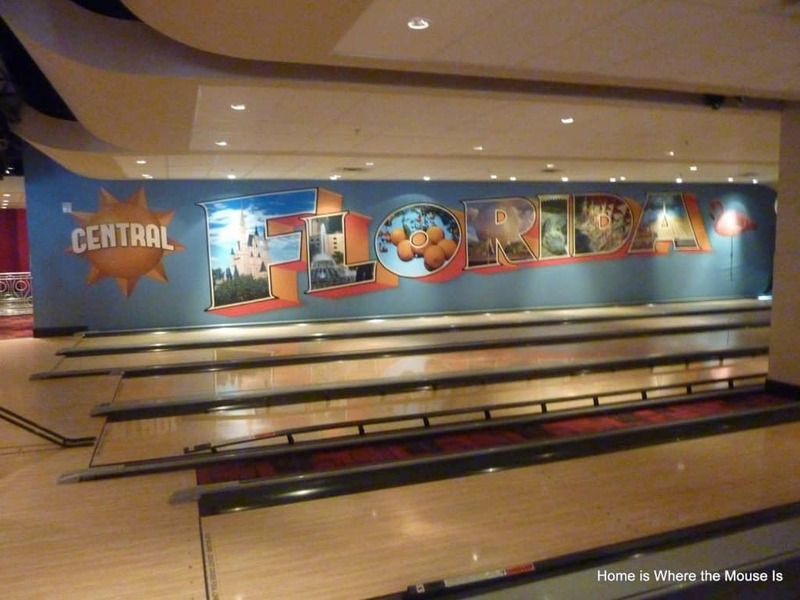 This is not your typical bowling alley. 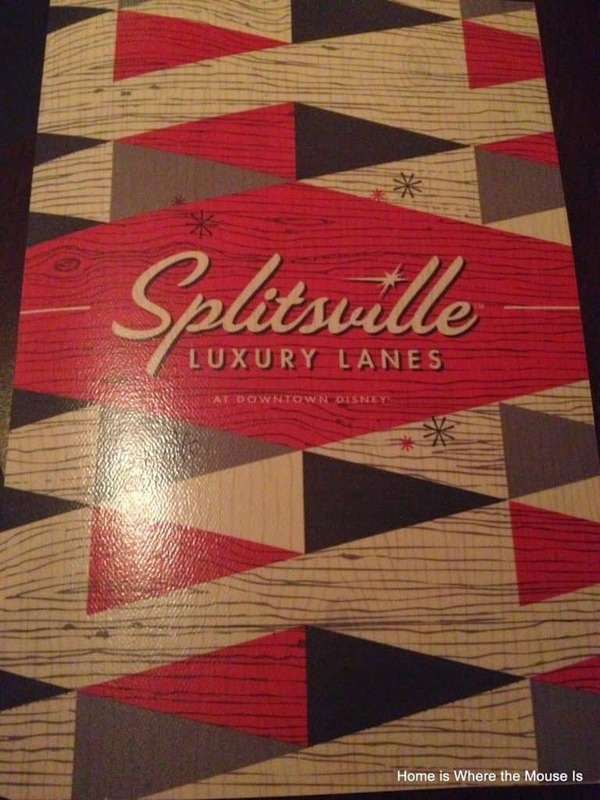 When you walk into Splitsville, you have the choice of just bowling or bowl and dine. Reservations are not required, but are encouraged. On our visit, we were able to walk right in. 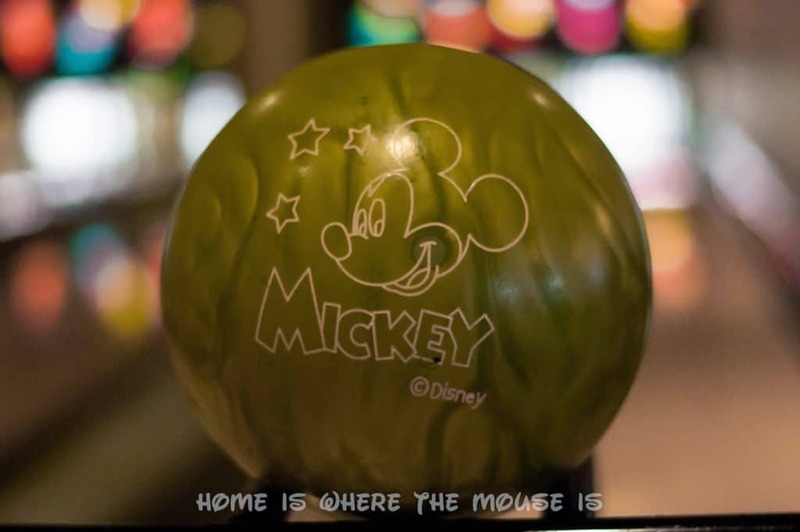 To bowl Monday to Thursday it costs $15.00 per person opening-4 PM, $20.00 per person 4 PM- Close. Friday- Sunday it’s $20.00 per person all day. There is an annual passholder discount. Admission includes lane and shoe rental. If you forget socks, don’t worry, they are available for purchase at the front desk or gift shop. The amount of time you are given depends on your party size. Our party of 4 was given 1 hour and 15 minutes to bowl. We were able to complete 1 and a half games in that time (with 2 kids). Kids are able to use ramps, bumpers or both. Just ask a cast member for assistance. One of the neat things about these lanes that differs from the ones we have at home is that the bumpers can be customized to go up only when it’s the kids’ turn to bowl. While you bowl, fun rock n roll music is being played to get you in a festive mood. The atmosphere wasn’t overly loud or inappropriate for children. At Splitsville, you have 2 dining options. If you are not bowling, you can still enjoy their world class menu on their outdoor patio. There you can also be entertained by live music. Full menu and bar are available to guests who choose this option. We opted for option #2, bowl and dine. While we were bowling, we were able to have dinner at our lane. Each lane is given a waiter/waitress to take care of them. They came right away to take our order so we did not waste any of our bowling time. 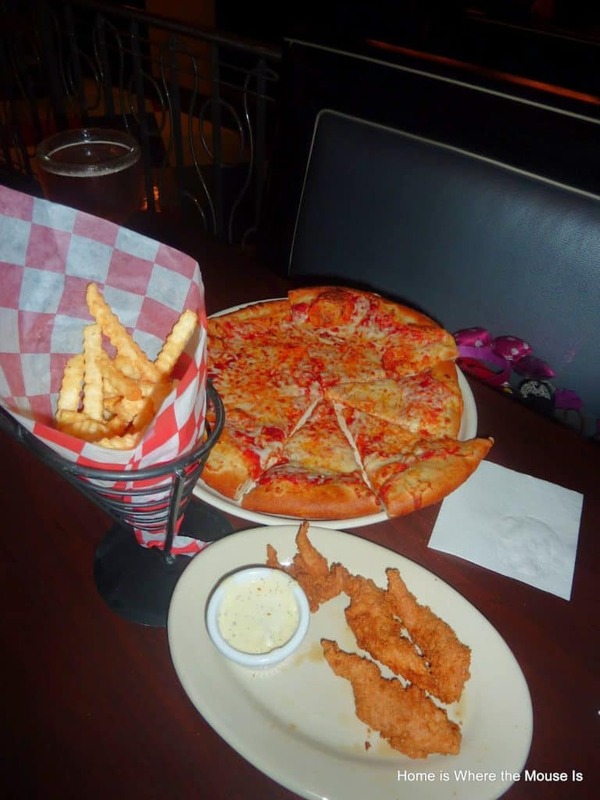 What makes Splitsville different from your average bowling alley is their menu. 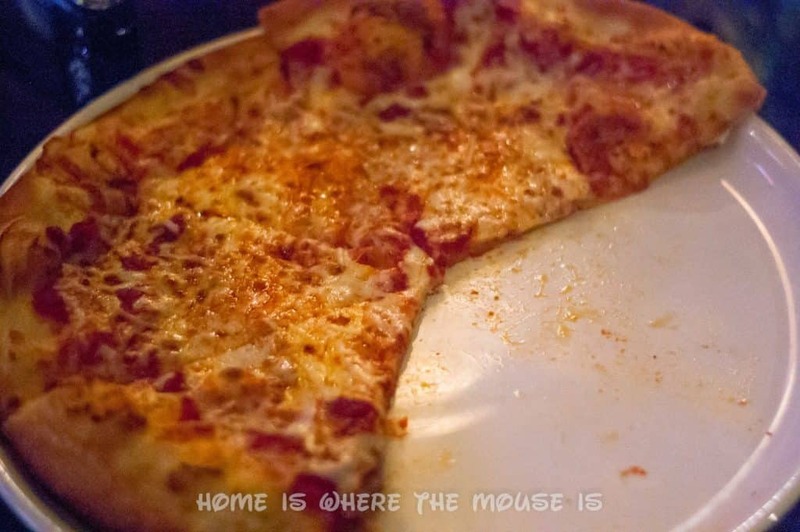 Sure, you are still able to get the traditional burgers and fries, but you can also order hand rolled sushi, specialty pizzas and unique entrees such as pulled pork. There is also a selection of rice bowls and salads. Their dessert menu includes sundaes, cake and a root beer float. Splitsville also has a kids menu for your little bowlers. You can check out their full menu here. We ordered fries, chicken strips and pizza. All were very tasty! I especially loved the chive dip that comes with the french fries. So much so I asked our waitress what was in it. She happily found out the ingredients for us from the kitchen. 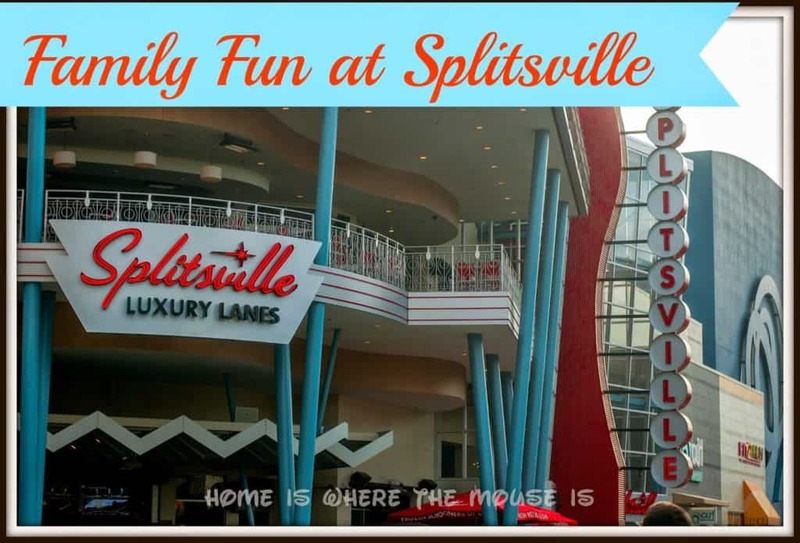 Splitsville is a great alternative for families who are looking for something fun to do outside of the parks. 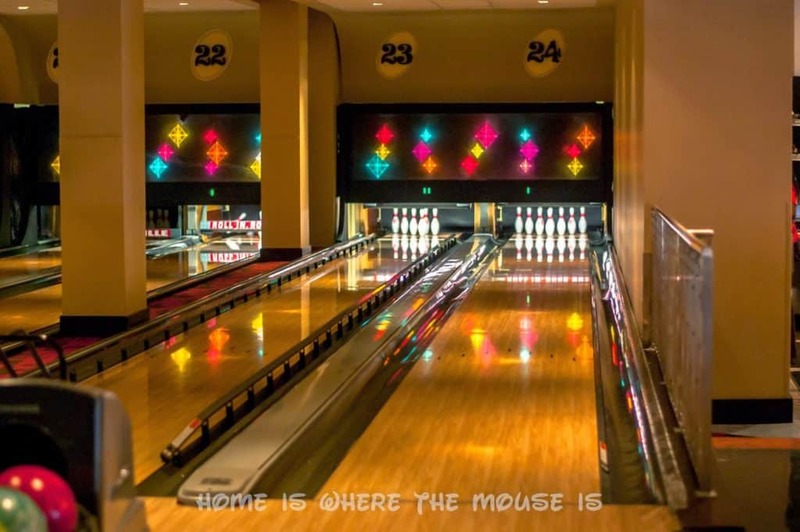 Its family- friendly atmosphere makes it a place that everyone in the family can enjoy. Their extensive menu has something for everyone. While it’s on the expensive side, it’s definitely something that visitors can try at least once. This looks like so much fun! I love that there is so much to do "Beyond the Parks." I look forward to seeing what else you have planned for this series.